Oh, hey. It’s me. First name Hungry. Middle name and last name, also Hungry. 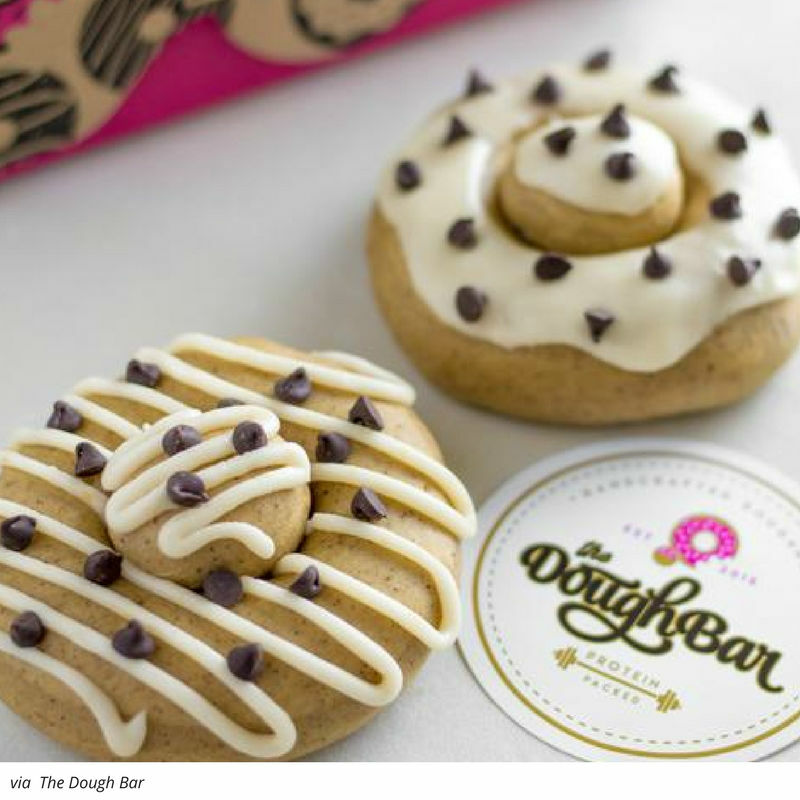 I’m wondering if I’m living under a rock or something because I just heard about The Dough Bar and they were on Shark Tank and they look like my life’s dream realized. No matter what I’m doing in life, I’m pretty much always thinking about something sweet to put in my belly. I’m stoked to have found a guilt-free way to rock that dream. 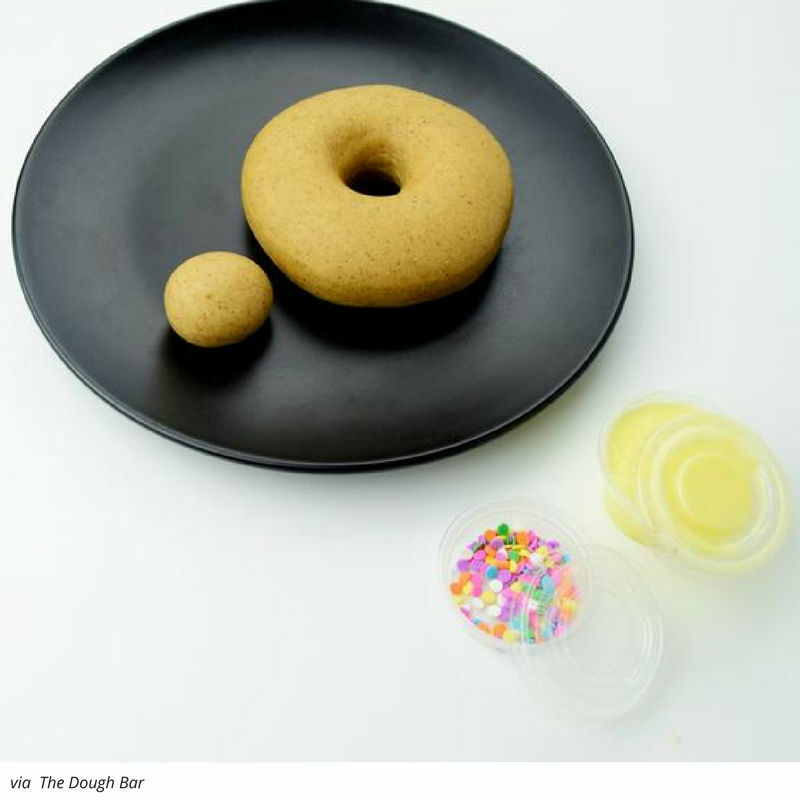 If you’re looking for a healthy alternative to the regulur ol’ donuts out in society of late, The Dough Bar is here to make that a reality. 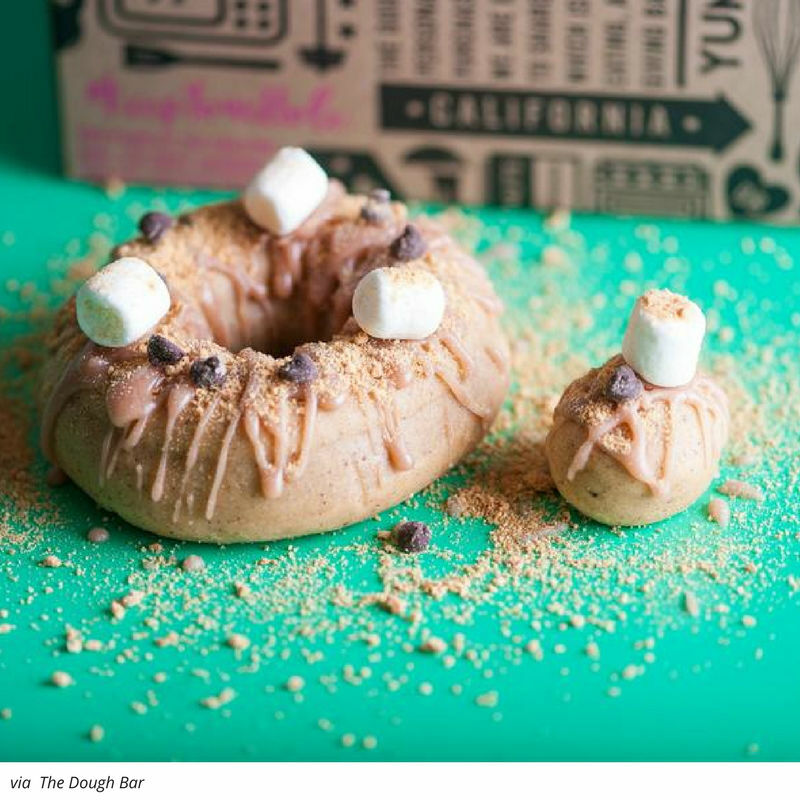 Why have a protein bar when you can have a DOUGHnut or two? Funny you ask that question The Dough Bar, because there is no good reason I should ever eat another protein bar now that I’ve found your insanely scrumptious looking sweet treats. I love that these donuts are designed with macro friendly ingredients – and they’re baked, not fried. Although you can’t be a total animal and eat 50 of these thangs, you can totally enjoy a guilt-less treat because when they send them to you, they send you the donut and the toppings separately, so you can top them how you wish – with the nutritional info – a total life-saver for those of us tracking what we’re putting in our bodies. And the flavors are TOTALLY fun – from Cookie Monster with Chips Ahoy & Oreos and Cinnamon With Cinnamon Toast Crunch, to and Cake Batter with Sprinkles and Reeses Peanut Butter with Chocolate chips…did I just faint? I think I just fainted. 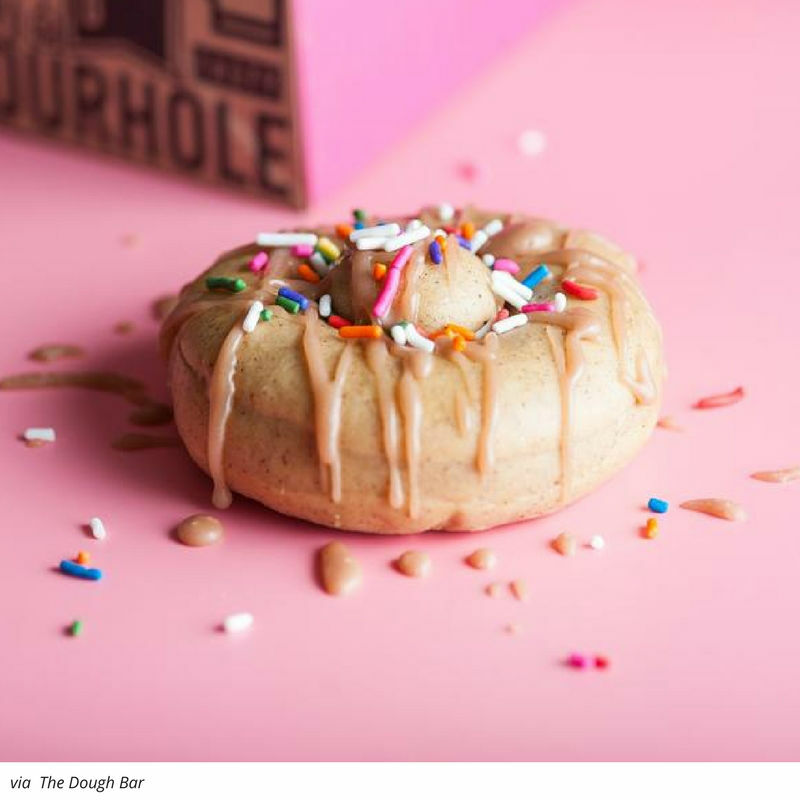 The Dough Bar gives back to organizations that support and promote health and fitness for children – Love this idea and love supporting this husband and wife team living the DOUGHnut dream (hee-hee, see what I did there?). Grab yourself a 4 pack for $15 bucks, and 8 pack for $29 or a 12 pack for $39 and check out their new Crispy Bar! I can’t wait to give these bad boys a try. If you love guilt-free snacks, check out this vegan cookie dough. OMG.